Statistics and baseball? Might raincheck this one. Sorkin and Pitt smash it out of the park. A seasoned, mature picture right out of left-field. Is there anything more American than baseball? Along with apple pie, root beer and capital punishment, a good old-fashioned ball game is enough to bring tears to the eyes of any freedom-loving Yank. For us Brits, though, those tears are likely to be shed in utter boredom. Luckily, Moneyball is about baseball in the same way that The Social Network – with which it shares a certain screenwriter – is about web development. Even if you don’t know a fly ball from a curve ball, this is gripping drama, both for its classic underdog-makes-good story and also for what it has to say about modern America. Based on Michael Lewis’ bestseller, Moneyball tells the real-life story of how Major League Baseball team the Oakland A’s upset the game’s odds in the 2001-2002 season. Frustrated at how easily the MLB’s big franchises outspent his mid-size team, the A’s general manager Billy Beane (Brad Pitt) hires young, inexperienced economist Peter Brand (Jonah Hill) to rethink the team’s approach to the game. Using statistical models, the pair identify undervalued players with overlooked strengths and put together an underdog team (an “island of misfit toys,” Brand calls them) to compete with their monied rivals. The film’s production team was almost as difficult to put together. Steven Soderbergh originally planned to make it as a documentary, but was replaced by Capote director Bennett Miller after producers decided it would work better as a drama. Aaron Sorkin was then hired to re-tool Steven Zaillian’s original script. To use a baseball term, that was a good trade. 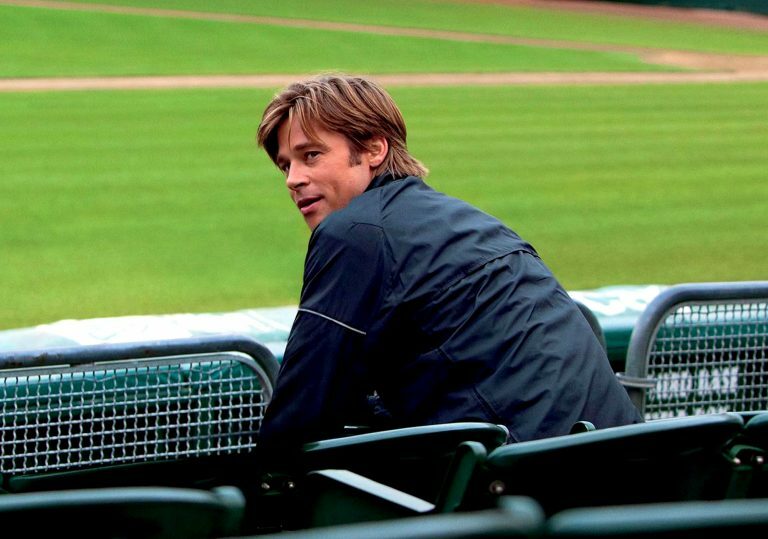 With its stifling, numbers-based premise, Moneyball could have been extremely dry stuff. 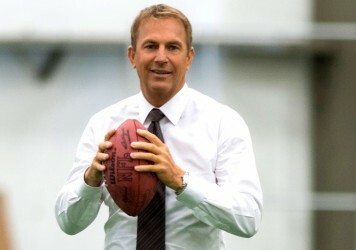 But in Sorkin’s hands, it becomes a sports-based companion piece to The Social Network. Just as that film uses Facebook to ruminate on friendship and the nature of creativity, so Moneyball uses baseball to tell a story of masculinity, leadership and American capitalism in the 21st century. Beane becomes a symbol of the team’s fading glories, a middle-aged man desperate to turn back the years and stand toe to toe with opponents who consider him a spent force. Drawing upon his movie-star charisma to give Beane a intimidating, Type-A manner, producer/star Pitt gradually shades it with gruff paternalism as his players begin showing their worth. It’s a subtle, human performance that ranks up there with his finest. Christopher Nolan’s regular cinematographer Wally Pfister invests the film with some startlingly beautiful images – a Stars and Stripes slowly being unraveled on a freshly mown pitch, a baseball arcing over stadium lights into a catcher’s mitt – while Miller guides us through the narrative twists and statistical cul-de-sacs of the story with dexterity. But Sorkin’s contribution is the key to the movie’s success, using the classic narrative arc of the sports drama to paint America’s National Pastime in muted reds, whites and blues. It’s the best film about statistics you’re ever likely to see. 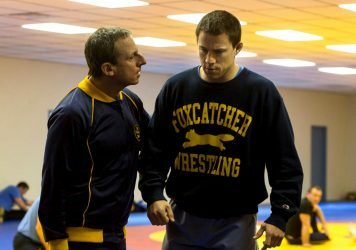 Muscular machismo and misplaced American pride combine in this intense drama with Steve Carell and Channing Tatum.